Bridge isn't a game typically played at Burns Park Elementary School, but it will for the next few weeks. Burns Park is among the sites hosting Ann Arbor Senior Center events while repair work is finished at the senior's damaged facility. 89.1 WEMU's Andrew Cluley reports Ann Arbor Senior Center events are taking place at alternative locations while repairs are done on the facility. The Senior Center on Baldwin Drive was unexpectedly closed on Friday, August 16th. Workers fixing broken ceiling tiles discovered more significant internal damage in the building, creating a safety concern. While some senior activities had to be canceled for the duration of repairs, others have been moved to Burns Park Shelter, Cobblestone Farm, and, as senior Diane Bell has learned, Burns Park Elementary. "It's a pleasure for me because I went to the school in Kindergarten, first, and second grade, and then back for Junior High, seventh, eighth, and ninth grade. So it's really fun to come back here and see the school," Bell says. While enjoying a trip down memory lane at Burns Park, Bell would prefer a new Senior Center to returning to a fixed-up version of the current building. That's not in the city's plans right now. Parks and Recreation Manager Colin Smith does say the department is using the repair work as an opportunity to install some upgrades. That includes adding skylights, insulation, and switching to energy efficient lighting. Smith is uncertain of the total cost of the project at this time. The Senior Center is expected to reopen in early September: Meantime, you can find a complete list of scheduled events and cancelations online. Like 89.1 WEMU on Facebook and follow us on Twitter— Andrew Cluley is the Ann Arbor beat reporter, and anchor for 89.1 WEMU News. Contact him at 734.487.3363 or email him acluley@emich.edu. A new school of fish is Ann Arbor's latest public art project, and one of the last works to be funded by the city's now defunct percent for art program. The sculptures were installed Monday at the rain garden on Kingsley and First. 89.1 WEMU's Andrew Cluley reports on new artwork installed at Ann Arbor's Kingsley Rain Garden. Ann Arbor City Council is considering a $20,000 public engagement plan that will begin an effort to manage the local deer population. 89.1 WEMU's Andrew Cluley reports Ann Arbor City Council is considering funding the development of a deer management plan. Protesters calling for Ann Arbor to boycott Israel will be back at the City Council meeting after dozens were escorted out of the last meeting by police for causing a disruption. 89.1 WEMU's Andrew Cluley reports on protesters calling for Ann Arbor to boycott Israel expected back at Monday's City Council meeting. The Downtown Library is temporarily closed in Ann Arbor. Work will keep the doors shut through at least early next week. 89.1 WEMU's Andrew Cluley reports Ann Arbor's dowtown library remains closed because of on-going elevator work. Less than three months after Ann Arbor's Performance Network Theatre closed its doors in the middle of a show, the re-launched company is set to hold a kick-off weekend. 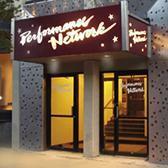 89.1 WEMU's Andrew Cluley reports under new management Ann Arbor's Performance Network Theatre is ready for kick-off weekend.